Next I’d like to discuss a specific moment in the history of jazz, which has been interpreted in different ways. The moment in question is 1959 and I think it provides a good example of the differences in views around the debate of jazz as Black music I’ve discussed earlier. Whereas a recent BBC documentary presents the year 1959 as “year that changed jazz”, Nicholas Payton is of the opinion that “Jazz died in 1959”. 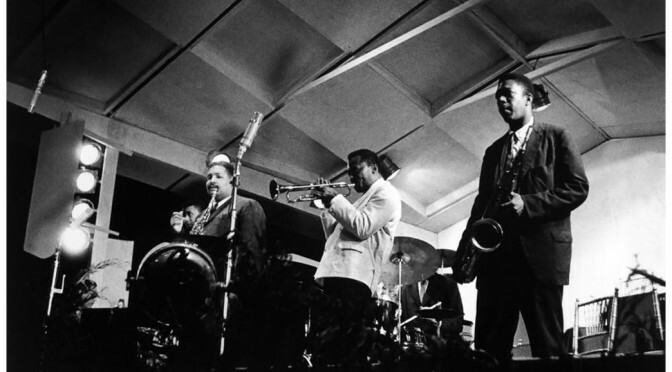 Although these views of 1959 as marking a “change” or “death” of jazz might seem contradictory, in the present context, however, it could be argued that they refer to the same phenomenon: Jazz stops being Black music. a brand. Jazz ain’t music, it’s marketing, and bad marketing at that”. For him the biggest mistake was that “Jazz separated itself from American popular music… The music never recovered. Ornette [Coleman] tried to save Jazz from itself by taking the music back to its New Orleanian roots, but his efforts were too esoteric… Jazz died in 1959, that’s why Ornette tried to ‘Free Jazz’ in 1960… The very fact that so many people are holding on to this idea of what Jazz is supposed to be is exactly what makes it not cool. People are holding on to an idea that died long ago. I think part of the problem Payton talks about is that the term “jazz” continues to carry racial connotations, references to racial stereotypes such as spontaneity (improvisation) and “naturality” going back to the primitivism I discussed before. Also e.g. jazz scholar Ingrid Monson has talked about these and other persisting, often romanticising, notions about jazz and jazz musicians. And these notions get marketed with the music – albeit often implicitly – which makes it indeed bad marketing in many ways. One point of which Payton and the documentary makers agree is what marks 1959 as a turning point in the development of jazz; why “1959 was the coolest year in Jazz” [Payton]. Four records came out that year signalling a change in their own way: Miles Davis’ Kind of Blue, David Brubeck’s Time Out, Charles Mingus’ Mingus Ah Um and Ornette Coleman’s The Shape of Jazz to Come, although Payton only mentions the first two. Live performance of “So what”, the opening track of Kind of Blue – but without the intro. “Take Five” from Dave Brubeck’s Time out became the best selling jazz single. The notions of “mainstream” and “American popular music” Payton and Davis discuss in the current context, raise questions of the nature of culture, especially in ethnic terms. Humanities scholars have since a while ago already recognised that cultures are not homogeneous entities, especially not in ethnic terms, i.e. there’s no singular “Black culture” that would be applicable throughout time and space. 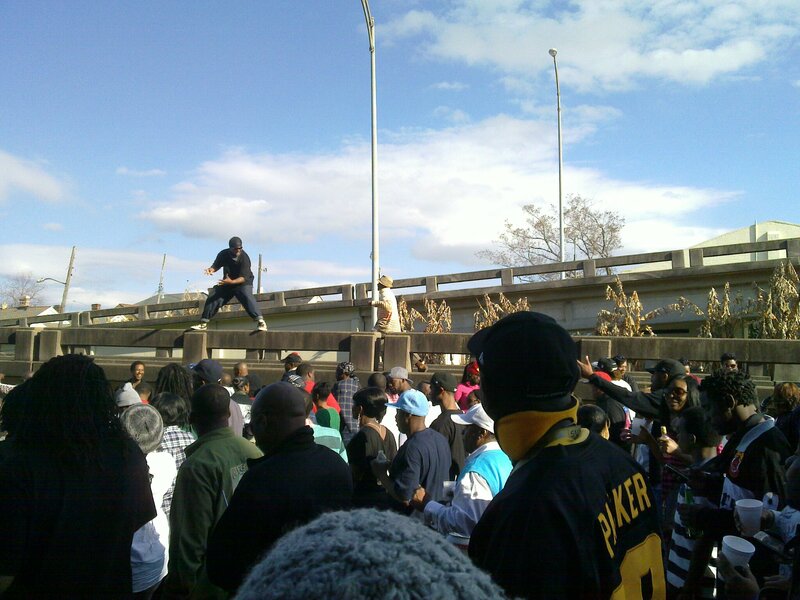 The US Black society, such as any other society, consists of many groups, divided by e.g. social status and geographical location, sharing only some aspects of the “social aesthetics” Payton referred to. These “mythic ritual roots” for Floyd are the “ring values” of “Dance, Drum and Song” dating back, most famously, to Congo Square in New Orleans and further to the African cultural origins of black Americans. Davis seems to be rather indifferent about what the music is called and throughout his book prefers to talk about “my music”. He does, however, recognise that a term such as jazz enables critics to talk about the music and the record industry to package and sell it, which again brings some cents to the musicians as well. Ornette Colemans’ “Lonely Woman” from The Shape of Jazz to Come touched base for e.g. Louis Reed as he mentions in the BBC documentary. white critics started supporting the free thing, pushing that over what most everybody else was doing. Jazz started to lose its broad appeal around this time. [w]hen those critics had pushed the way-out thing and people started to turn off, the critics dropped it like a hot potato”. The BBC documentary 1959 – A year that changed jazz tells a story of a specific period through the four above-mentioned albums and their creators. Different aspects of the narrative quite neatly match the philosopher of history Hayden White’s “plots” of historical narratives; the artists are portrayed has heroic geniuses, in Mingus’ case a tragic one. The ancient Greek hero triumphing against the odds is mixed with a 19th century Romantic genius with a touch of the above-discussed primitivism as the artist gets his inspiration from a sublime source and through his ability to translate his emotions and human experience into artistic expression. To ensure the full attention of contemporary audiences the narratives are presented by a voice that could be used in a Hollywood action film trailer. 1959 was a really important year in jazz because you had some of the greatest musicians in the world playing a response to what had been played but what was also a response to what could be played. The art was advanced in 1959. Another set of choices were offered to everybody. It’s not too difficult to place these four albums in an evolutionary continuum of jazz with Davis introducing, or at least popularising, “modal jazz”, Brubeck mixing exotic Eastern European rhythms into his music, Mingus finding ever new ways of creating music deeply rooted in what Floyd called the Black “core culture” and finally Coleman attempting to “free” jazz of its formal boundaries of harmonic and melodic conventions. They can also be quite neatly categorised as the beginnings of stylistic periods, as discussed before. On “Fables of Faubus” on Mingus Ah Um Mingus commented on the recent developments in racial politics. The lyrics are omitted in the released version. For Payton these musical developments, although artistically laudable, meant the loss of jazz’s status as American popular music. Around this time rock was growing in popularity and attracting the attention of the public as well as the music industry. It could be argued, as I interpret Payton, that the term “jazz” from there on was lacking the coherent meaning as a music deeply rooted in the Black culture. Although it had always been “hybrid”, a mix of many musical cultures, it was now coming to a point were these roots were becoming somewhat less obvious – affecting also the music’s popularity within the black American society. But, as Crouch mentioned, these developments were “a response” to their contemporary socio-cultural-political conditions. American society was going through significant changes and music, musical tastes and cultural predilections were changing as well. As Americans were searching for their identities in these turbulent times, music was part of the process. com[ing] from the outside not the inside; it is something we put or try on, not something we reveal or discover. [m]usic, like identity… describes the social in the individual and the individual in the social. This “aesthetic identity” (my term) also has an ethical dimension; if engagement with music – whether listening or creating – is “trying on” an identity, then sharing musical tastes is sharing some ethics as well: “Good people” like “good music”. While this line of thinking can – and has been – easily expanded to universalistic ideas of music as an agency of various kinds of good for humanity, it is not without risks. Ideas of universality – a bit like music industry, as discussed above – may flatten everything to same level and erase difference. As the power relations in the world are never equal, this risks the kinds of exploitations discussed above when the white mainstream exploits the music of the black margins. But now I’m veering into areas that require more thorough discussion. My point is that Payton may well have arguments to say that jazz, as Black music, died in 1959 and that continuing to use the term for music thereafter is to linger on ideas of the past. The rest of the world, however, doesn’t seem to agree with him. What I’ve tried to point out here is that we need categories (names) for things to understand, think of and discuss them as parts of the human experience. We do, however, need to be responsible and critical in our usage of such categories, to recognise them as the historical constructs that they are with sometimes far reaching implications. For me jazz, of whatever era, will always be essentially Black music, especially in terms of performance practices. The way in which jazz musicians (meaning musicians knowledgeable of the jazz tradition) communicate with each other through their music – regardless of where the musical material is derived from – and the kind of energy this process generates, is for me the most distinguishing thing about jazz, whether I’m listening to or playing it. Such musical experiences seem to me to afford a way to witness, or take part in, a living tradition, which I also find the best tribute to the past, present and future contributors to this great form of performing art.